East Anglia is a beautiful land of ghosts. In the 13th century this was the most densely populated part of Britain, but the last 700 years have seen a slow decline. As England’s primary economic focus shifted from trade with the Low Countries to its Empire and the great Atlantic ports in the west, large-scale depopulation occured in the east. A common sight in this region today is an incongruously huge medieval church towering over a tiny, shrunken village…. Coastal erosion has been responsible for destroying more of this medieval world, eating into the coast over the centuries, swallowing acres of land and dozens of villages. 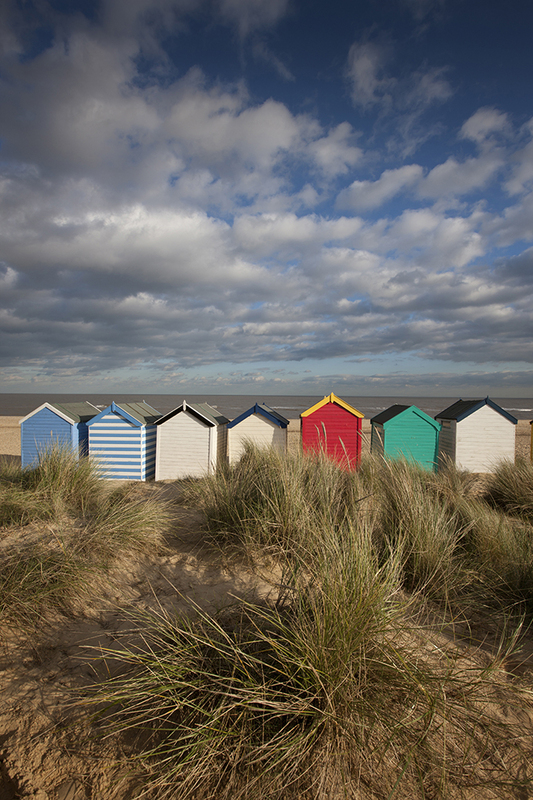 Even the much-loved waterways of the Norfolk Broads, once thought to be a natural feature, are now known to be the remnants of a peat-digging industry which collapsed after a catastrophic tidal surge of the North Sea in 1287. Yet elsewhere the ghosts of the past remain intertwined with modern life. In parts of Cambridgeshire and south-east Essex the land is still farmed in grids of small, irregular fields laid out during the Iron Age or Roman period. This is also where you will find one of England’s oldest towns, Colchester. A major settlement for the Celtic tribe the Trinovantes for at least 400 years, it was seized by Claudius’ invading Roman army in 43 AD. In an attempt to consolidate their grip on the region, the Romans transformed the settlement into an army veterans’ colony, Camulodunum, but this did not save it from the rampaging Iceni, who destroyed the city during their rebellion under Boudicca in 60-61AD. Today you can see traces of the Roman city, including sections of its walls and the fragmentary Balkerne Gate, the last surviving Roman gateway in Britain. The museum at Colchester Castle, built in the 11th century over a Roman temple, is the best place to assess the city’s history. The nearby village of Coggeshall boasts two supreme examples of medieval craftsmanship: the late 15th century Paycocke’s House, decorated inside and out with wonderful wood carvings, and the large 13th century Grange Barn, the oldest surviving timber-framed barn in Europe. To the west near Bishop’s Stortford is another survivor from the 13th century, Hatfield Forest. A forest in the original sense, it has areas of managed woodland alongside open spaces for deer and cattle, plus a man-made rabbit warren. Because the land-use has been consistent for so long, this is also a good place to see wild flowers and plants eradicated in many places by modern agriculture. A few miles further north, the town of Saffron Walden has several medieval buildings and a huge church, St Mary’s, that the locals will tell you is the largest in Essex. 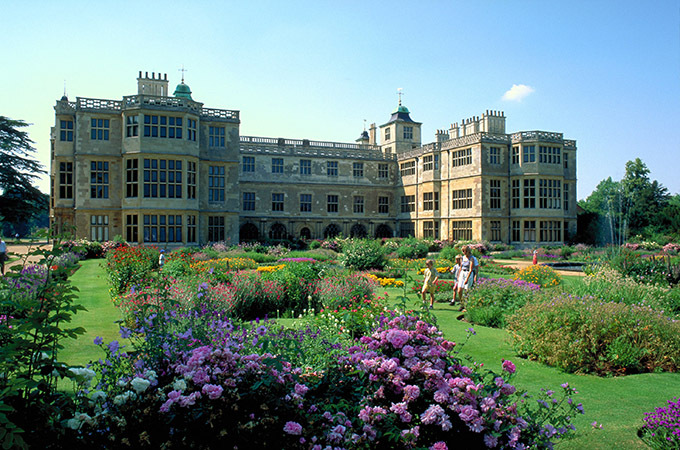 Nearby is Audley End, one of the finest Jacobean houses in England, built for Thomas Howard, Earl of Suffolk. It was later a favourite residence of Charles II, who stayed here when attending the races at Newmarket. Cambridge has a dizzying number of architectural treasures, most of which are connected to the university. 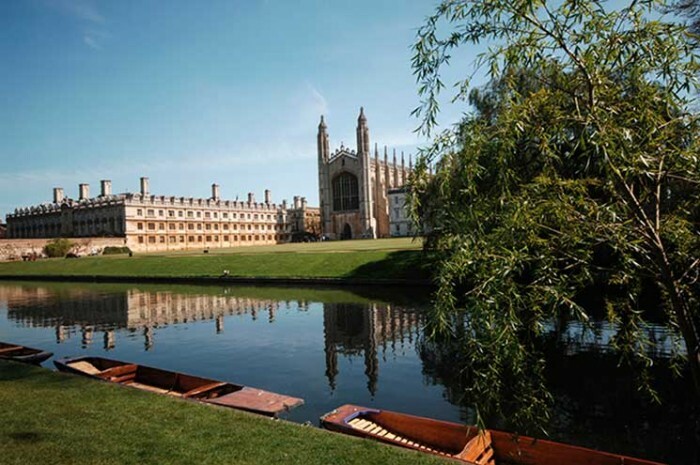 Among the greatest is the 15th century King’s College chapel. Also very worthy are the pretty Tudor courts of Queens’ College, and the light and airy Wren Library, lined with white stucco walls and wooden bookcases by the architect of St Paul’s Cathedral. The Fitzwilliam Museum, a first-class collection of art and antiquities, is the best of the other historical attractions. On a patch of high ground among the Fens to the north is the cathedral city of Ely. It is perhaps most famous for the exploits of Hereward the Wake, who held out against the Norman army here in 1070, before the Fens had been reclaimed from the marshes and when Ely was still really an island. The most striking feature of the mostly 13th century cathedral is the octagonal tower at its centre, built after the original collapsed in 1322. You can also visit Oliver Cromwell’s house, where the Protector lived while working as a tithe collector before his rise to fame. Precisely because of its diminishing status since the Middle Ages, Norwich is still a recognisably medieval city, with an enormous Norman castle. This houses an entertaining museum and art gallery. There is a beautiful cathedral, dominated by its huge spire, the second highest in England. Inside there are some fascinating features, including the 1,106 roof bosses in the nave, on which are carved Biblical scenes from Genesis to Revelations. The interior feels much brighter than in many medieval cathedrals, thanks to the light-coloured stone used in its construction. Blickling Hall, the superb Jacobean mansion built for the Lord Chief Justice Sir Henry Hobart in 1619, is 15 miles north of Norwich. It replaced an earlier house in which Anne Boleyn spent part of her childhood. According to legend the dead Queen still haunts Blickling, drawing up outside the house on the anniversary of her execution in a coach pulled by headless horses and driven by headless horsemen, holding her own head on her lap. Among Norfolk’s other memorable stately homes is Houghton Hall, built in the opulent Palladian style for Sir Robert Walpole in 1730, and full of ostentatious decorative touches, such as the carved marble fittings of the Marble Parlour. The most important historical site in the quiet county of Suffolk is Sutton Hoo. Here one of the greatest archaeological discoveries of the 20th century was made in 1939: the ship burial of a 7th-century Saxon warrior, possibly Raedwald, King of East Anglia, high on a hill above the River Deben. There is an excellent visitor centre and you can walk round the mounds of the burial site. Further east, towards the border with Essex, you can explore the Stour Valley, searching for the scenes painted by John Constable in the late 18th and early 19th centuries. Flatford Mill is just recognisable as the location of The Hay Wain, near the village of Dedham. Further upstream, the town of Sudbury is linked to another great painter, Thomas Gainsborough, who was born here in 1727 in a house now used as a gallery for his work. Suffolk is home to some unbelievably pretty villages of timber buildings. The two most celebrated are Long Melford and Lavenham. But the most evocative place in the county is Dunwich, now a tiny village with a museum that tells the story of the death of the medieval town, including six churches and two monasteries, lost to the sea. You can walk along lanes that run straight over the edge of the cliffs, and on stormy nights hear the drowned church bells ringing beneath the waves.